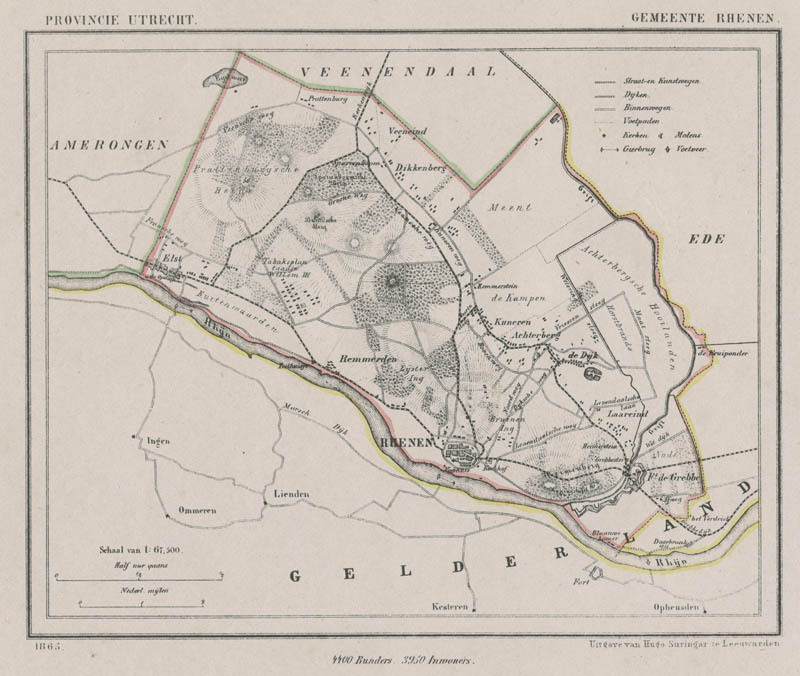 Description Detailed map with handcoloured borders of the municipality of Rhenen. On the map are: Rhenen, Elst, Prattenburg, Dikkenberg, Kuneren, Achterberg, de Dijk, Laareind, Ft. de Grebbe, Remmerden, tabaksplantaadje Willem III. Looking for an antique map, historical print or plan? Feel welcome and browse our mapsite atlasandmap.com! We have maps, made by Kuyper (Kuijper) . more map communityplan of Utrecht like Gemeente Rhenenmore maps by kuyper like Gemeente RhenenPlease contact us if you don't find where you are looking for! We ship worldwide.